Go to original pattern for design DROPS 202-27. Knitted jumper with V-neck in DROPS Air. The piece is worked with lace pattern. Sizes S - XXXL. 15 stitches in width and 19 rows in height with stocking stitch = 10 x 10 cm. DROPS DOUBLE POINTED NEEDLES SIZE 6 MM for stocking stitch. DROPS CIRCULAR NEEDLE SIZE 6 MM: length 60 cm or 80 cm for stocking stitch. DROPS CIRCULAR NEEDLE SIZE 5 MM: length 60 or 80 cm for rib. To work out how to decrease evenly, count the total number of stitches on needle (e.g. 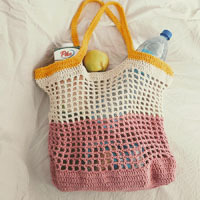 105 stitches) minus edge stitches (= 2 stitches) and divide the remaining stitches by number of decreases to be made (e.g. 21) = 4.9. All decreases worked from right side. 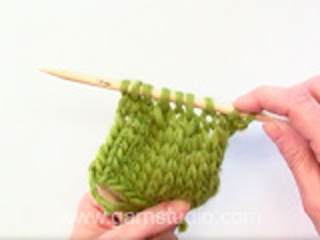 Decrease 1 stitch after the 2 stitches in garter stitch from the neck as follows: Slip 1 stitch as if to knit, knit 1 and pass the slipped stitch over the knitted stitch. 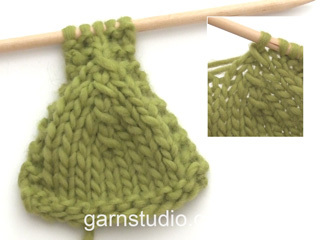 Decrease 1 stitch before the 2 stitches in garter stitch towards the neck as follows: Knit 2 together. The piece is worked back and forth with circular needle in sections and sewn together to finish. The sleeves are worked in the round with double pointed needles. Cast on 105-111-117-129-141-153 stitches (including 1 edge stitch on each side) with circular needle size 5 mm and Air. Purl 1 row from the wrong side. 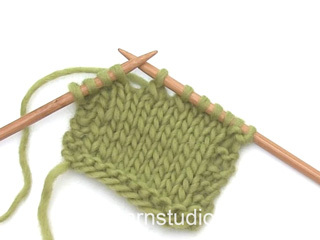 Then work rib as follows: 1 edge stitch in GARTER STITCH – read description above, (knit 1, purl 2) until there are 2 stitches left on row, knit 1 and 1 edge stitch in garter stitch. Continue like this back and forth for 4 cm. Now knit 1 row from the right side where you decrease 21-21-21-27-29-33 stitches evenly spaced – read DECREASE TIP-1 = 84-90-96-102-112-120 STITCHES. Change to circular needle size 6 mm. 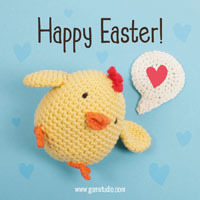 Work stocking stitch with 1 edge stitch in garter stitch on each side until the piece measures 39-40-41-42-43-44 cm. REMEMBER THE KNITTING TENSION! At the beginning of the next 2 rows cast off 3-4-4-5-6-6 stitches for armholes = 78-82-88-92-100-108 stitches. 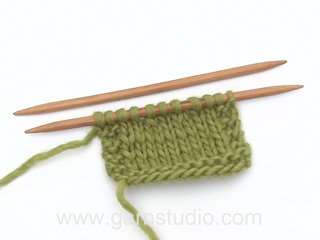 Continue with stocking stitch and 1 edge stitch in garter stitch on each side. When the piece measures 50-52-54-56-58-60 cm, work garter stitch over the middle 18-18-20-20-22-22 stitches on the row. When you have worked 2 ridges over these stitches work the next row from the right side as follows: Work the first 32-34-36-38-41-45 stitches and place on 1 thread for right shoulder, cast off the next 14-14-16-16-18-18 stitches for neck and work the remaining 32-34-36-38-41-45 stitches. Then finish the shoulders separately. Work 1 edge stitch in garter stitch towards the armhole, 2 stitches in garter stitch towards the neck and stocking stitch over the remaining stitches. On the next row from the right side decrease 1 stitch inside the 2 stitches in garter stitch towards neck – read DECREASE TIP-2 = 31-33-35-37-40-44 stitches. Continue working until the armhole measures 15-16-17-18-19-20 cm. Cast off. The piece measures approx. 54-56-58-60-62-64 cm from the shoulder down. Work the other shoulder in the same way. Cast on 105-111-117-129-141-153 stitches (including 1 edge stitch on each side) with circular needle size 5 mm and Air. Purl 1 row from the wrong side then work rib as follows: 1 edge stitch in garter stitch, (knit 1, purl 2) until there are 2 stitches left on row, knit 1 and 1 edge stitch in garter stitch. Continue back and forth like this until the piece measures 4 cm. Now work as follows: Work the first 51-54-57-63-68-75 stitches and decrease at the same time 10-10-10-13-14-16 stitches evenly spaced, work A.1 (= 2 stitches), work the remaining stitches on the row and decrease at the same time 11-11-11-14-15-17 stitches evenly spaced = 84-90-96-102-112-120 stitches. Change to circular needle size 6 mm. Continue back and forth with A.1 over the middle 2 stitches, stocking stitch and 1 edge stitch in garter stitch on each side. When the piece measures 34-36-37-39-40-42 cm work A.2 over the middle 20 stitches on the row. The 2 middle stitches in A.2 should match the 2 stitches in A.1. When you have worked the row with the star, you have decreased 2 stitches in A.2 and the piece is now divided in the middle. Place the first half of the stitches (seen from the right side) on a thread (= right front piece/shoulder) and continue back and forth over the left front piece/shoulder. Continue with stocking stitch, 1 edge stitch in garter stitch towards the armhole and A.2 towards the neck; i.e. 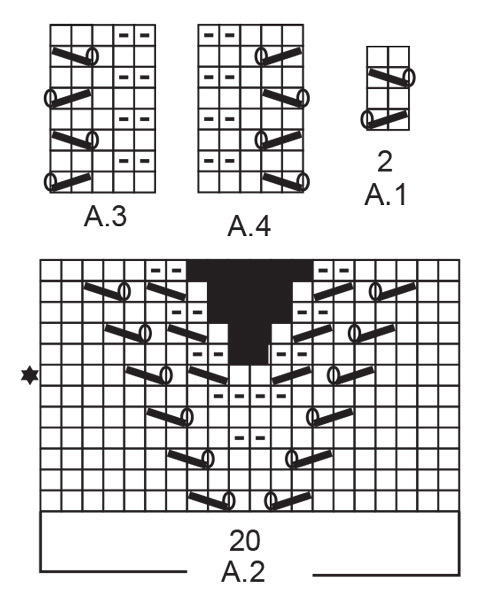 you decrease for neck as shown in the last 6 rows of the diagram (3 decreases are shown in diagram) until you have decreased a total of 8-8-9-9-10-10 times. 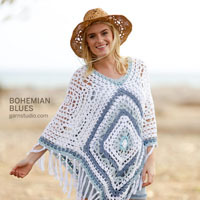 AT THE SAME TIME when the piece measures 39-40-41-42-43-44 cm cast off 3-4-4-5-6-6 stitches at the beginning of the row from the armhole. When all the decreases are finished, work as shown in A.3 over the outermost 5 stitches on the left front piece (towards the neck) to finished length. When all the decreases to neck and armhole are finished there are 31-33-35-37-40-44 stitches on shoulder. Continue working until the armhole measures approx. 15-16-17-18-19-20 cm - adjust to match the back piece. Cast off. The piece measures approx. 54-56-58-60-62-64 cm from the shoulder down. Place the stitches from the thread back on the circular needle and work right front piece/shoulder in the same way as the left, but reversed; i.e. start from the wrong side, at the neck on the row after the star in A.2 and work as follows: Work the 9 stitches in A.2, stocking stitch until there is 1 stitch left and 1 edge stitch in garter stitch. Continue back and forth like this and decrease for neck and armhole in the same way as on the left front piece. When the 8-8-9-9-10-10 decreases for neck are finished work A.4 over the outermost 5 stitches towards the neck to finished length. Adjust the length to match left front piece/shoulder and back piece. The sleeve is worked in the round with double pointed needles. Size S: Increase alternately every 6 and 7 cm a total of 6 times. Size M: Increase every 5 cm a total of 7 times. Size L: Increase every 5 cm a total of 7 times. Size XL: Increase every 4 cm a total of 8 times. Size XXL: Increase alternately every 3 and 4 cm a total of 9 times. Size XXXL: Increase every 3 cm a total of 10 times. 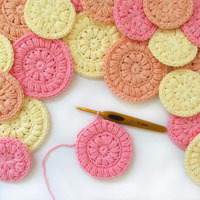 When all the increases are finished there are 45-48-51-54-57-60 stitches on the round. Continue working until the piece measures 45-44-43-42-40-38 cm (shorter measurements in larger sizes due to wider shoulders). Finish the round in the middle of diagram A.1 (= mid under sleeve). Now continue back and forth with stocking stitch over all stitches (to allow you to sew the sleeve to the armhole). 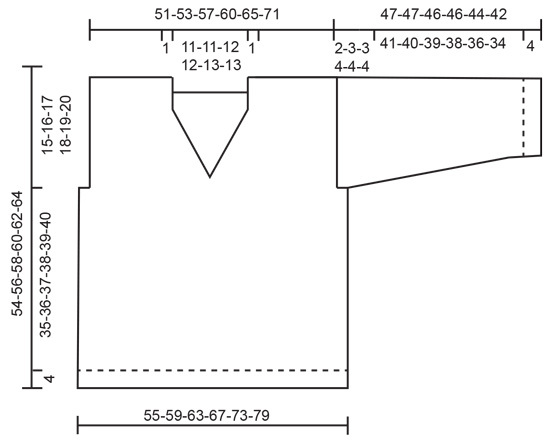 When you have worked back and forth for 2-3-3-4-4-4 cm the sleeve measures a total of 47-47-46-46-44-42 cm. Cast off. Work the other sleeve in the same way. Sew shoulder seams with grafting stitches inside the cast-off edge. Sew sleeves to body. Sew side seams inside the 1 edge stitch in garter stitch on each side.